These rotor adapters/hats are designed for our 2.0 front race hubs. We CNC machine them in-house from 6061-T6 aluminum, then bead blast and Type II anodize them matte black. We offer these in two versions to offset the brake rotor. Typically we use our standard version for our offset hubs and the extended version for our centered hubs. When running 4-6 piston calipers we recommend using the extended version for more caliper clearance behind the wheel. Their is a 3/4″ difference between the two versions. 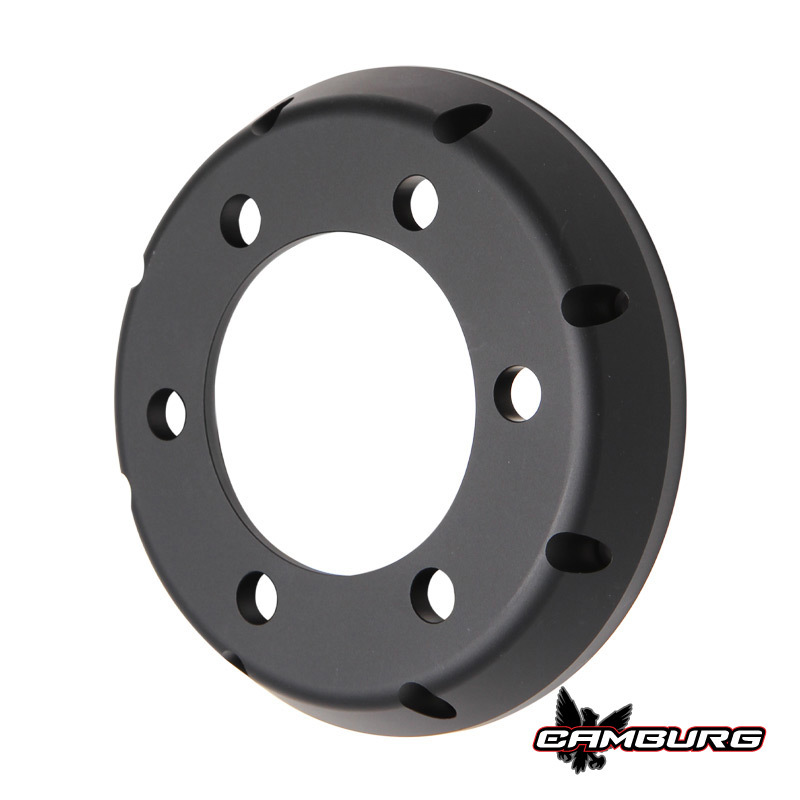 These are setup to use 12″-14″ OD rotors with a 8 on 7-5/8 bolt pattern using 5/16-24 SHCS hardware.